When I have a chance, I like to examine construction sites (safely!) 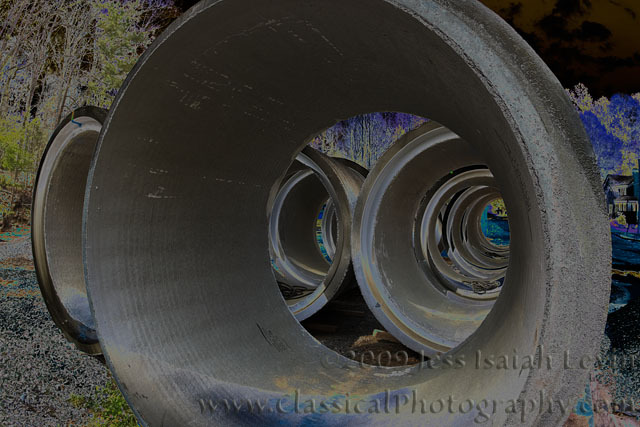 for things that have potential visual interest in an abstract composition. 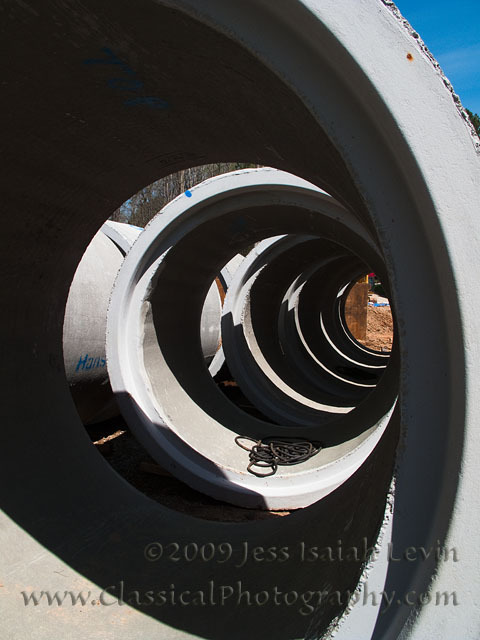 The position of the sun over these drainage pipe sections made a nice repeating pattern. 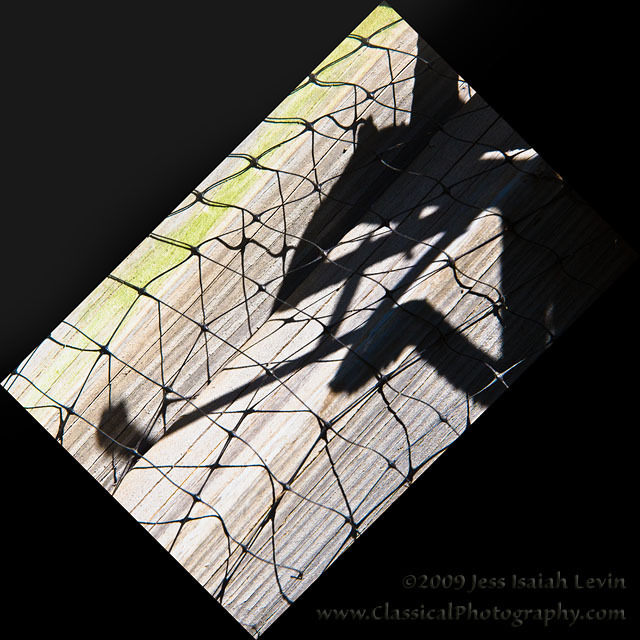 While out photographing flowers at the Raulston Arboretum, I came upon a shadow (of branches and vines) that reminded me of other things (a stalking lizard?) and worked well with the texture of the wood and wire. The wire grid protects a tree. I'll have some flower and insect shots in my next post.